2.11.2015 December 6, 2018 Posted by Rick Gould CPA, J.D. CEO and management consulting can significantly improve the performance of an organization in a variety of ways. From easing the transition that comes with organizational change to facilitating the resolution of existing organizational problems, CEO and management consulting are valuable tools that every organization should take advantage of. What are some of the benefits of CEO and management consulting? What makes CEO and management consulting so important? Here are 5 reasons why CEO and management consulting is an important catalyst for business success. CEO and management consultants can provide external, objective advice and analysis of an organization that can be extremely beneficial. They provide a perspective that those within an organization cannot and, as a result, can address issues before they become problems and devise unique and creative solutions. CEO and management consulting can provide an organization with knowledge about industry best practices and insight about what other organizations in the industry are doing. This enables a firm to stay ahead of the game. CEO and management consulting can assist with key executive retention within an organization. Providing consulting and coaching to CEOs and key executives encourages those individuals to develop professionally, and giving them the opportunity to do so may encourage these employees to remain loyal to the organization. investing in CEO and management consulting, you are investing in the future of your organization. 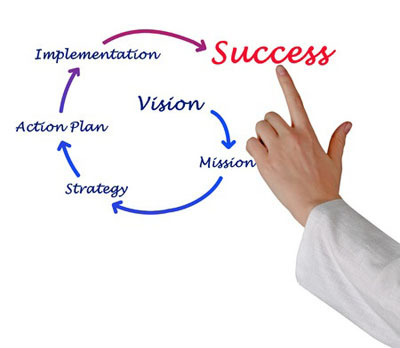 CEO and management consulting can aid an organization in adapting to change. In the business world change is inevitable, and organizations with skilled leadership and well-thought-out strategic plans are most capable of thriving in the face of change. I never thought about the benefit of hiring a management consultant to help the company adapt to change. in this day and age, technology is evolving all of the time. Now that everyone is on their phone, tablet, or computer all the time, I can see how more established companies would need help in shifting their strategy. It’s interesting to think that management consulting can aid in adapting to change. I’m sure that when the years change, there is a lot that can happen for a company. The fact that there are people there to help with that change is beneficial.